The Clay County Fair announces that Blood, Sweat & Tears with special guest Journey former lead vocalist Steve Augeri will perform as part of the SRG Concert Series in the Sleep Number Grandstand at the 2018 Clay County Fair on Sunday, Sept. 16 at 6:30pm. 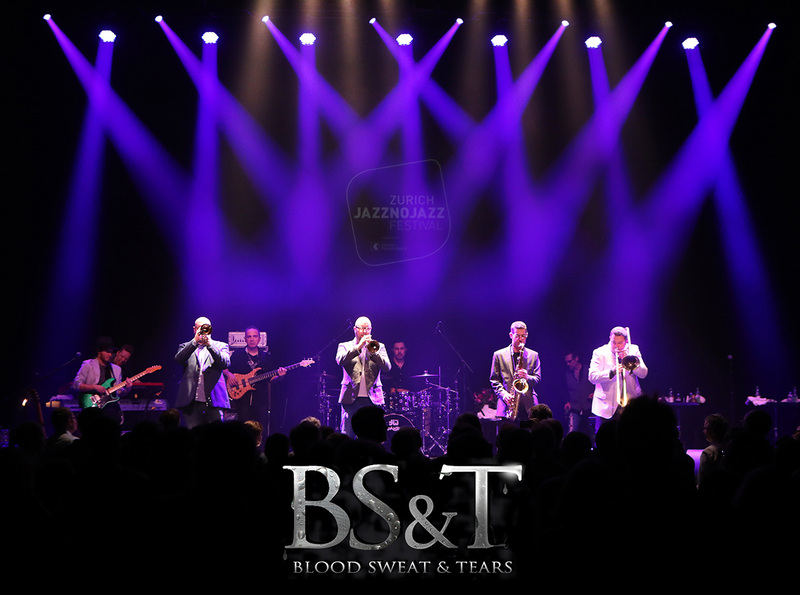 It’s been more than four decades since drummer/producer Bobby Colomby and friends assembled into the genre-crossing sound and style of Blood, Sweat & Tears. The band is most notable for their fusion of rock, blues, pop music, horn arrangements and jazz improvisation into a hybrid that came to be known as "jazz-rock." Hit songs such as "You Made Me So Very Happy," "Spinning Wheel," and "And When I Die," use the styling of rock, pop and R&B/soul music with big band, while also adding elements of 20th century classical and small combo jazz traditions. "As always, our goal is something for everyone in the Grandstand at the Fair," said Fair Manager Jeremy Parsons. "This will be a great night of hits for '70s rock fans." Known for his soaring vocals, gritty tenor and powerful stage presence, Steve Augeri, former lead vocalist of Journey, brings his signature blend of rock and soul into every event singing the songs that made Journey famous including, "Don’t Stop Believing," "Faithfully," "Lights" and more. Tickets will go on sale Friday, March 30 at 10:00am. Prices are $30 (general admission stage front standing), $25 (reserved Grandstand seating), and $20 (general admission bleacher seating). Tickets will be available online at www.midwestix.com, by phone at 515-244- 2771, or in person at the Events Center Box Office (M-F, 9am-4pm). About The Clay County Fair & Events Center: Rooted in Tradition, the Clay County Fair and Events Center is a year-round facility that annually hosts more than 300 events, including its signature event, the Clay County Fair. Known as "The World’s Greatest County Fair" since 1917, the Clay County Fair attracts more than 325,000 guests each September for nine-days of world-class entertainment, competition, food, fun, and the largest farm machinery show at any fair in the United States. Additional information can be found at claycountyfair.com. About Spencer Radio Group (SRG) Spencer Radio Group (SRG), based out of Spencer, is made up of three premier radio stations KICD1240 AM, BIG Country 107.7, and MORE 104.9. SRG not only provides a radio avenue to reach a range of audiences, but also partners with online solutions to optimize the success of their clients.